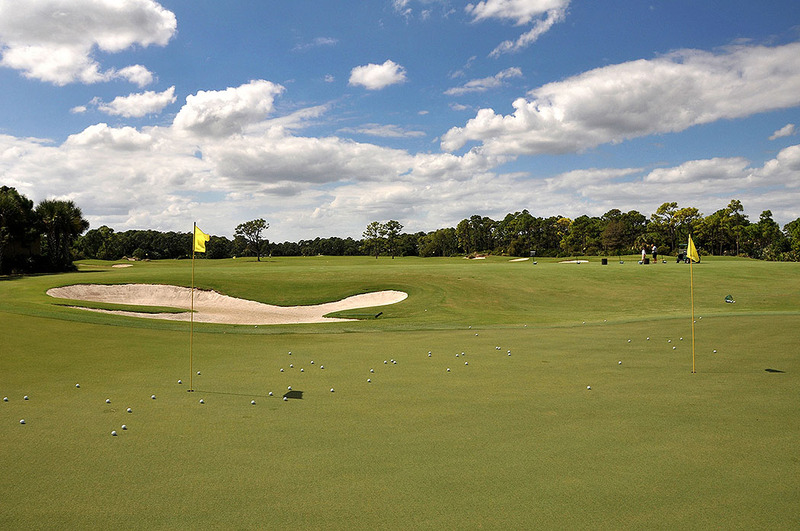 The Golf Range Association of America has bestowed Top 50 accolades to 11 Nicklaus Design layouts on lists of the Top Public Facilities and Top Private Facilities. Published in the December 2014 issue of Golf Range Magazine, the public Nicklaus Design layouts to receive Top-50 nods are Bear’s Best Atlanta (Ga.) (pictured above); PGA Resort & Spa (Palm Beach Gardens, Fla.); and The Greenbrier (White Sulphur Springs, W.V.). The eight Nicklaus Design layouts named to the GRAA’s 2014 list of the Top 50 Private Facilities are Castle Pines Golf Club (Castle Rock, Colo.); Desert Mountain Club (Scottsdale, Ariz.); Muirfield Village Golf Club (Dublin, Ohio); Red Ledges (Heber City, Utah); Sycamore Hills Golf Club (Fort Wayne, Ind. ); The Cliffs (Keowee Falls, S.C.); The Peninsula Golf & Country Club (Rehoboth, Del. ); and Valhalla Golf Club (Louisville, Ky.). The Golf Range Association of America selected the Top 50 in each list based on the merits of standing out in design, programming and service among thousands of golf clubs. The organization’s mission is to harness the combined power of all professionals at all types of facilities, with a strong focus on Private and high-end Public and Resort Facilities, to use their range and practice areas to increase their revenues, enhance their careers and help grow the game of golf.